The ashes of former Prime Minister Atal Bihari Vajpayee will be immersed in the river Ganga here on August 22, a senior BJP leader said on Sunday. 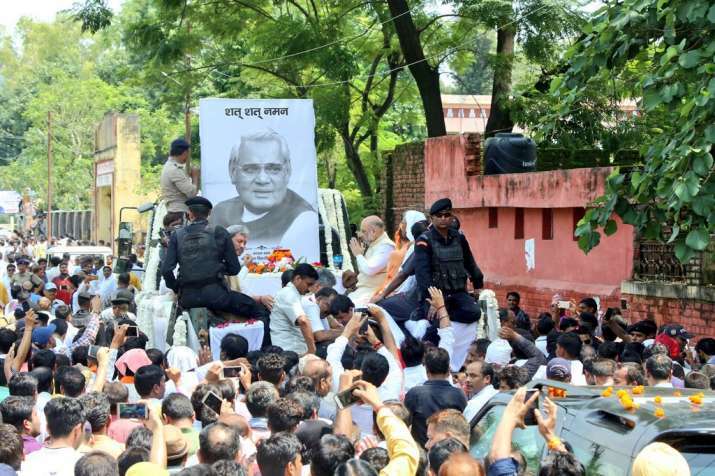 "As part of the party's decision to immerse Atal ji's ashes in nearly 100 rivers across the country, Bihar BJP chief Nityanand Rai will arrive in Patna from New Delhi on August 21 with Atal ji's 'asthi kalash'," Bihar BJP vice president Devesh Kumar told PTI. He said "An all party prayer meet will be held at 3 pm at S K Memorial hall where people, workers from all political parties, social organisations and common men have been invited. The 'asthi kalash' will be kept at Beerchand Patel Path, the BJP's state unit headquarters, where common men and party men can have the glimpse of the "kalash" and pay their respect, he said. "Atal ji's ashes will be immersed in the river Ganga on August 22 in Patna," Kumar said. The party has also decided to take out 'ashti kalash yatra' from August 22 onwards in order to immerse ashes into major rivers of Bihar, he said. 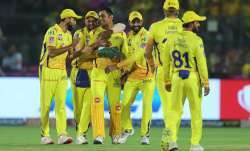 The routes, places and the rivers in which ashes will be immersed are being worked out, Kumar said adding that prominent rivers of the state in which the ashes will be immersed are - Sone, Punpun, Falgu, Baghmati, Kosi, Mahananda and Gandak.